It's Wednesday, it must be the Jazz@Rochester listings . . . There's a lot of jazz out there in Rochester over the next seven days, including some special out-of-town guests like Mulgrew Miller and the Willem Breuker Kollektief, as well as a lot of local talent. Get out and see some live jazz music. Oh yeah . . Happy Halloween!. Those with "[added]" or that are stricken were changes found after initial publication of the post. Check the venue sites or call for more information. I've compiled these from other sources, so please forgive me if there are any discrepancies with reality. Artists please feel free to let me know via email (link on left panel) if one of your gigs isn’t on here and I’ll try to add it to the post before the gig happens. Email subscribers should check back here to see if there has been an update or revision before you make decisions on jazz to see (subscribers won't get an update email or posting). On November 5th, members of the Kollektief have agreed to play an impromptu set in the atrium at the Bop Shop in the Village Gate on Goodman in Rochester. The band is comprised of some of Holland’s finest musicians in a casual setting. On November 6th, in conjunction with the Eastman School of Music, Brueker and the Kollektief will be playing at the Dryden Theatre at the George Eastman House to accompany F.W. Murnau’s silent film classic Faust. During the band’s 2005 performance at the Rochester International Jazz Festival, some may remember a preview of this music, which they fashioned into a performance suite. According to Kohn, they have performed with the movie all over Europe and have received rave reviews. Get out and hear the unique musicianship of this ensemble. By the way, you should also check out the Bop Shop's new website and event calendar while you're at it. [Added later] If you want to make it a trifecta, check out the 44th Record Show and Sale Sunday hosted by the Bop Shop on Sunday, November 4th. Over 40 dealers will set up over 60 tables of merchandise ranging from rare and collectible records, tapes, and CDs to autographs, posters and other music related memorabilia. As previously announced, the Rochester International Jazz Festival will return for its 7th edition in 2008 from June 13 to 21, 2008. The RIJF is quickly becoming one of the premier jazz festivals in the country and increasingly worldwide. Attendance in 2007 topped a record-setting high of 121,000. Club passes for the festival, which get you into many of the venues. In 2008, the Festival will present more than 240 concerts featuring a diverse and international lineup of legendary Grammy award-winning artists and critically-acclaimed jazz and contemporary groups and emerging artists. The lineup and schedule for the Festival's Club Pass Series, the Senator Jim Alesi Eastman Theatre series, and free concerts on outdoor stages will be announced in April 2008. According to a press release released today, Club Passes will go on advance sale on Friday at 10 a.m. at the special holiday discount price of $105 + $4 service charge, good through December 31. The Pass increases to $115 plus $4 service charge January 1 through March 31, and $125 plus $4 service charge April 1- May 31, and $135 plus $4 service charge June 1 through the end of the festival if any passes remain. The Club Pass sold out last year just before the festival began. A limited number of passes is available. Club Passes may be purchased online at www.rochesterjazz.com, at any Ticketmaster/Ticket Express outlet or online at www.ticketmaster.com. There will be more than 150 Club Pass concerts, including those at the new Club Pass venue for 2008--Christ Church on East Avenue. This is a big one . . . Mulgrew Miller comes to Exodus to Jazz! Mulgrew Miller is coming to Rochester and continues the outstanding Exodus to Jazz Series on Saturday, November 3rd. Miller is one of the leading jazz pianists out there today, having been on more 400 recordings as a leader or sideman. We're very lucky he's coming to Rochester. Back in April 2006, I had an opportunity to see Miller at Joe Segal's Jazz Showcase in Chicago (there's a good profile of Miller in support of that gig on the Jazz Police site) my old stomping grounds, and what a treat it was. Come out and support this series and keep jazz artists like Miller coming to Rochester. 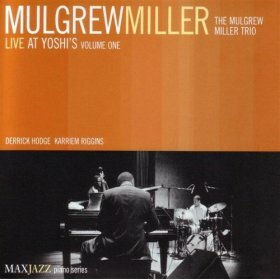 Mulgrew Miller was motivated to play jazz piano after watching a television performance of his idol Oscar Peterson when he was young. He has worked with a number of jazz legends across a broad spectrum, including Art Blakey, Benny Carter, Benny Golson, Wallace Roney, Freddie Hubbard, Kenny Garrett, Joe Lovano, Johnny Griffin and Tony Williams. His style is constantly evolving. Like ETJ, Joe Segal's was an intimate setting. I remembered being in awe as I listened to him at Joe's as I had great seats that afforded me a view of his hands. His style moves easily from swing to a post-bop rhythmic melange, swiftly switching tempos and attacks. I've heard pieces of his most recent releases on MaxJazz, Live at Yoshi's (#1 and #2 ) and with his Wingspan quartet. There's some great examples of his playing on his site and some videos (it's flash so couldn't link directly). He'll be back at Exodus to Jazz in December appearing with Johnny O'Neal in a "dueling pianos" faceoff that's bound to be a night to remember. Miller will be leading a dynamic trio with bassist Ivan Taylor and drummer Ulysses Owens. Both of these cats are top notch. Taylor was with Miller back in April 2006 when I saw him in Chicago, where Ivan hails from and from the early age of 9 has been playing bass. including with the Illinois All-State Jazz Band, the Grammy Band, and jazz masters Orbert Davis and Von Freeman. He was a star performer at the 2002 Essentially Ellington competition where he met Wynton Marsalis, which led him to enroll at Julliard. In addition to touring with Miller, Ivan plays with Soul Cycle, the Julliard Jazz Orchestra, and studies with Ron Carter. Ulysses Owens was here earlier this year as part of the Victor Goines Quartet earlier this year. In addition to performing with Goines and being a regular member of Miller’s Wingspan, Owens has performed with Wynton Marsalis, Kenny Barron, Regina Carter, Benny Golson, Christian McBride, Eric Reed. I believe both of them played with one or more of the artists at recent Rochester International Jazz Festival performances. There will be two separate sets at 7:00 pm and 9:00 pm at VENU Resto-Lounge & Nightclub, located at 151 St. Paul Street, Rochester. Tickets for each set may be purchased in advance for $ 17.00 through TicketWeb.com (search for “Mulgrew Miller” or “Exodus To Jazz”). Tickets purchased at the Club VENU on the night of the show, if available, are $ 20.00. Student tickets are $ 10.00 with a current ID. [added 10-31-2007]Check out Anna Reguero's article about Miller in the Democrat & Chronicle (link will self-destruct in seven days...). On November 2nd, the Performing Artists Concert Series at Rochester Institute of Technology continues with Rod Blumenau and Eastman School of Music pianist Dariusz Terefenko, along with Jeff Campbell on bass and Brad Paxton on drums, will play in the styles of over fifteen legends of the jazz piano from Fats Waller to Thelonious Monk to Keith Jarrett. As an added bonus, there will be a special cameo performance on the piano by former RIT President Al Simone. The concert will commence at 8:00 pm at Ingle Auditorium on the RIT campus (map). Tickets for general seating are $6 (Students), $14 (Faculty/Staff/RIT Alumni) and $20 (General Public) and can be purchased at the SAU candy counter or at the door on the night of performance, if available. To charge tickets, call the field house box office at 585-475-4121. There will also be $50 tickets available as fund raiser for the Performing Artists Concert Series, which will include special seating and an after-concert reception at the Fireside Lounge. It's Wednesday night . 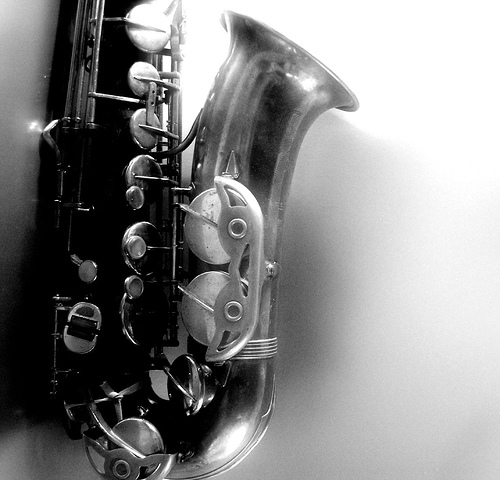 . . do you know where your jazz is? Right here on Jazz@Rochester, that's where. Here are the next seven days of jazz in Rochester as collected from various sources. Get out and hear some! This no jazz on Mondays is becoming a trend . . . Leading a new quartet, drummer Sylvia Cuenca is returning to the Exodus to Jazz series to help ETJ promoter Jose DaCosta and ETJ celebrate its first anniversary at Club VENU on Saturday, Oct. 27, 2007, for two shows. It was one year ago that Ms. Cuenca and her previous group appeared in the first Exodus To Jazz show on Oct. 26, 2006. As noted in a recent article by Anna Reguero in the D&C (link will probably "dissolve" in a few days, but if you get there fast...), Sylvia Cuenca's repeated returns to Rochester (she played here with the late Hilton Ruiz during the 2005 RIJF—I saw that show and was really impressed by her intensity and range—and with Tessa Souter this year) have resulted in a "nice buzz" surrounding her appearances here. That's good as she has pretty impressive chops. 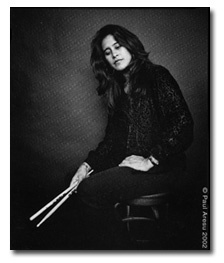 Although Sylvia Cuenca isn't a household name, she is an accomplished and prolific drummer with an amazing resume. She has spent over 17+ years playing with legendary trumpeter Clark Terry, and has appeared with other jazz majors like Billy Taylor, Frank Foster, Kenny Barron, Eddie Henderson, Michael Brecker, Hilton Ruiz, Marion McPartland, Diane Reeves, Houston Person and Etta Jones, as well as rising stars like Souter and Denise Thimes. Her companions in the quartet are no slouches either. David Gilmore has performed with Wayne Shorter, Dave Douglas, Muhal Richard Abrams, Sam Rivers, Steve Coleman, Don Byron, Cassandra Wilson, Uri Caine, Randy Brecker and David Sanborn and has sat in on over 50 recordings. Seamus Blake is a long-term member of the Mingus Big Band and has performed with the Victor Lewis Quintet, Bill Stewart and Kevin Hays, Franco Ambrosetti, Billy Drummond, Darrell Grant and Kevin Hayes, John Scofield. Jared Gold, who played in Cuenca's prior group, and will be returning playing his Hammond B-3, has performed with Bill Goodwin, John Snyder, Ralph Bowen, Ralph Peterson, John Swana, Javon Jackson, and Tony Reedus. The VENU Resto-Lounge & Nightclub (Club VENU) is located at 151 St. Paul Street in Rochester, NY. Tickets are $ 17.00 through TicketWeb (search for “Sylvia Cuenca” or “Exodus To Jazz”), or purchased at the door or by calling 585-325-9162 (phone number for tickets) for $ 20.00. Student tickets are $ 10.00. For more information visit the website or call 585-733-7685 (phone number for information). I enjoy listening to the local jazz station WGMC, Jazz 90.1 and often stream it at work and home (at work because I don't have a radio in my office and at home because the nearby Cobbs Hill plays havoc with the signal of the stations on the lower end of the dial. On October 17th, the station kicked off its fall 2007 membership campaign. Jazz90.1 has set a goal of $50,000 for the drive, which runs through October 26th. One of the last 24-hour jazz radio stations in the country, WGMC Jazz 90.1 relies on donations to survive financially each year. The DJs and staff promote jazz throughout the community and at the Rochester International Jazz Festival. During this year's pledge drive there will be guest celebrity DJs and artist interviews, as well as plenty of "thank you" gifts to go around, including Jazz90.1 clothing, "best of" CDs, DVDs, and more. Become a member or make a pledge by calling (585) 966-5299 or 1-800-790-0415 toll-free, or you may pledge securely online, where you can also listen live in stereo any time, anywhere. Past pledge drives have enabled Jazz90.1 to grow to a 15,000 watt station that can be enjoyed throughout the Rochester area, and worldwide on the Internet. Your continued support will help keep 24-hour jazz available in Rochester and help pay for stronger signals and the streaming that makes it possible to hear Jazz 90.1 near Cobbs Hill or anywhere else. I think I need to renew my membership this time. Although I've been out of town for a few days, I'm still taking care of business here on the blog. While I didn't get to hear any jazz while I was in Pennsylvania (but Gettysburg was pretty cool), there is some live jazz in and around Rochester over the next week. Enjoy! Say it ain't so . . . no jazz on Monday? Those with "[added]" or that are stricken, if any, were changes found after initial publication of the post. Check the venue sites or call for more information. I've compiled these from other sources, so please forgive me if there are any discrepancies with reality. Artists please feel free to let me know via email (link on left panel) if one of your gigs isn’t on here and I’ll try to add it to the post before the gig happens. Email subscribers should check back here to see if there has been an update or revision before you make decisions on jazz to see (subscribers won't get an update email or posting). The Exodus To Jazz series continues with Jazzberry Jam!, who will be making their first Rochester appearance on Saturday, October 20, 2007 at Club VENU with two shows at 7:00 & 9:00 pm. In addition to highly successful national and international tours, Jazzberry Jam! was featured in the award winning 1999 French documentary film entitled “Les Femmes du Jazz”. As described on their site, "[t]his forceful group of women dares to be personable without compromising their remarkable cohesion on the bandstand. They evoke standing ovations from loving audiences everywhere they go." VENU Resto-Lounge & Nightclub (or Club VENU) is located at 151 St. Paul Street, Rochester, NY. Tickets for Jazzberry Jam! are $17 and available through TicketWeb (search for “Jazzberry Jam!” or “Exodus To Jazz”). Tickets purchased at the door or by calling 585-325-9162 (phone number for tickets) are $ 20.00. Student tickets are $ 10.00. For more information visit the Exodus to Jazz website or call 585-733-7685 (phone number for information). Quinn Lawrence and the Flat Iron Cafe's after hours jam gets a nod. . .
Frank DeBlase over at the City Newspaper has written a profile of Quinn Lawrence, who holds down a job on the real swing shift with his trio at the Flat Iron Cafe at an after hours jam starting at 1:00 am on Saturday nights (OK, Sunday morning...it all depends on your perspective). Quinn is a multi-instrument jazz man (Frank, you left out the saxophone...) who is comfortable playing all across the spectrum of jazz. If you're out on the town and not quite ready to head home to the bed, Quinn and his trio will keep that head bobbing for awhile longer. There's some great jazz at the Flat Iron at other times, too. Flat Iron Cafe owner Tom LaBue would love to help you get some caffeine into those veins (or beer and wine) and get a bit more than a "modest crowd" out to support the jazz. Check out the story and the jam . . . it's worth staying up late. How much Rochester jazz can you fit in? My parents are in town and jazz is not currently on our menu of things to do, but Rochester has jazz for the next seven days and here is where you'll find it. Those with "[added]" or struck out were changes found after publication. Check the venue sites or call them for more information if you need it. I've compiled these from other sources so please forgive me if there are any discrepancies with reality. Artists please feel free to let me know via email (link on left panel) if one of your gigs isn’t on here and I’ll try to add it to the post before the gig happens. Email subscribers should check back here to see if there has been an update or revision before you make decisions on jazz to see (subscribers won't get an update email or posting). I'm a sucker for Hammond B3 organ and Jimmy Smith is a master of that soulful machine. Ran across this edited video on YouTube of Jimmy Smith and his trio appearing on the TV program "The Jazz Scene" in 1962, presented by Oscar Brown Jr. Now that's cooooool . . . . Tags: Hammond B3, Jimmy Smith, Oscar Brown Jr.